Said Wahid holding his newborn grandson, Sahil under his tent at the Swabi IDP camp in Swabi, Pakistan. 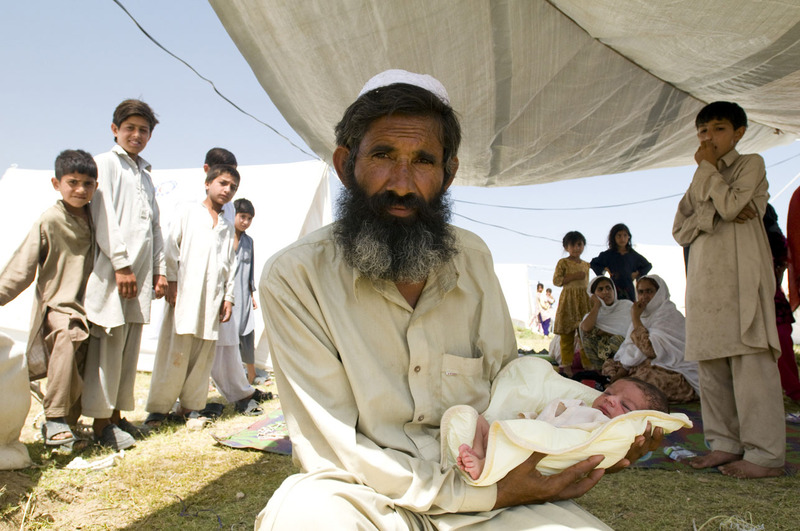 Sahil was born 3 days ago, just a few days after this refugee family had fled Swat and moved to the IDP camp for safety. Photographed in Swabi, Pakistan on May 20, 2009. There are now 1.5 million displaced people in Pakistan's North West.